Has it been a year already? According to WordPress, I made 23 new posts this year. Really? Only 23? That’s about 2 posts a month, and half of what I posted in 2012. Not good at all. I can’t say if I will do better than last year, but I can at least promise to strive for it. 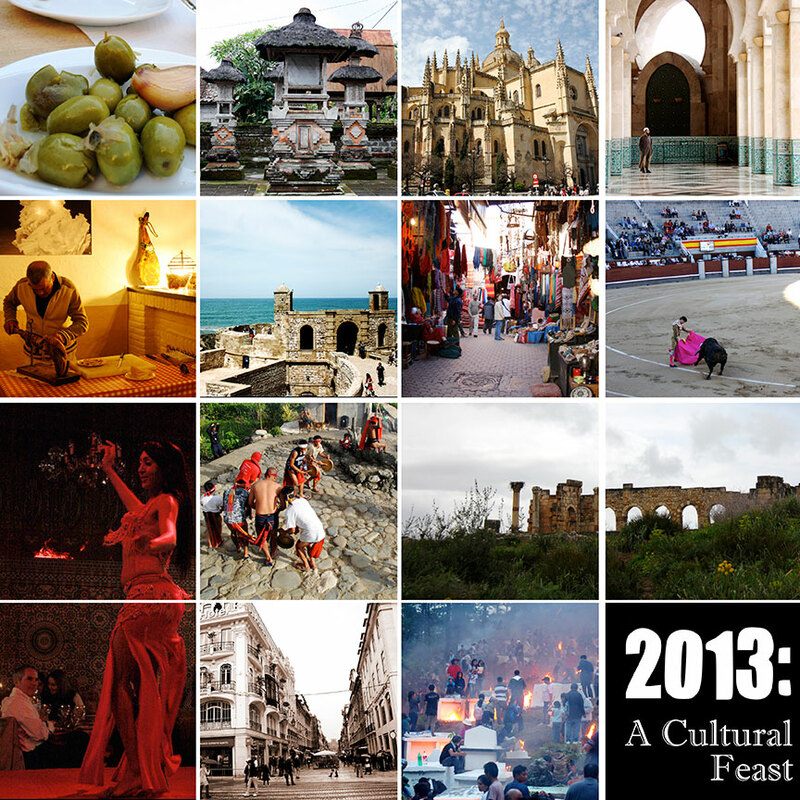 2013 was pretty good to me—in both the travel and work scene. In the travel category, it has been a cultural feast near and far with Morocco, most definitely, topping the list, followed by Spain and Portugal. But not to be outdone are some of the places close to me. Here’s a glimpse of how I spent my 2013, many of which I still owe a post so please stay tune. And with this, I wish you all a year of greater adventures and good health. Cheers!! the fact that you traveled so much is the reason you had fewer posts. i look forward to the portugal and spain posts. needless to say portugal is on my wish list.